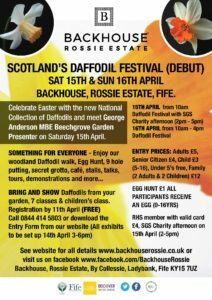 An exciting new Daffodil event has been announced at the Backhouse Rossie Estate, home of the National Collection of Narcissus Backhouse cultivars. Easter is being celebrated with a Woodland Daffodil trail, a Celebrity Daffodil Expert, Talks, Tours, Exhibition and Demonstrations. Daffodil people in a variety of industry sectors will be represented. Friday 14th, the day before the festival starts. The set up time is 3-6 pm and there is a separate children’s Class. On Saturday 15th and Sunday 16th April there are also lots of other activities for families, including an Egg Hunt, Putting, Secret Grotto, Cafe, and plenty of opportunities to buy from local stall holders. 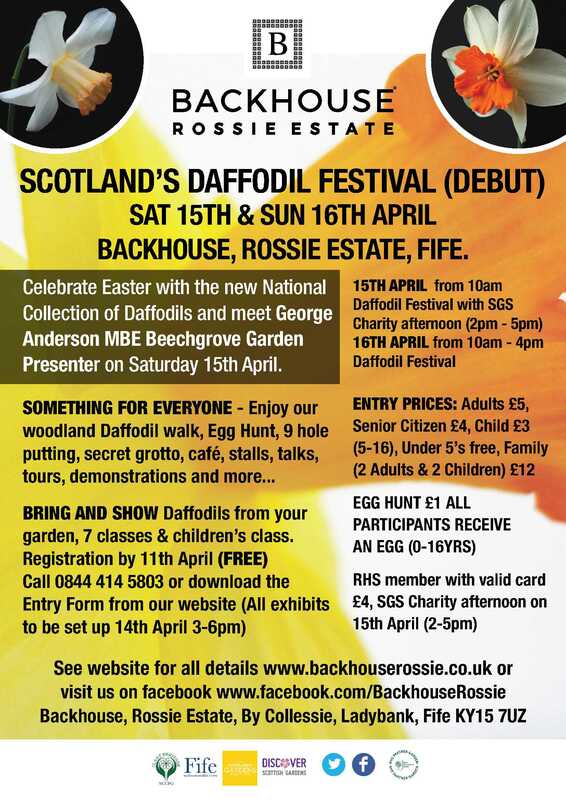 The April Daffodil Festival starts at 10 am on Saturday 15 April. The SGS Charity afternoon is from 2 pm-5 pm. 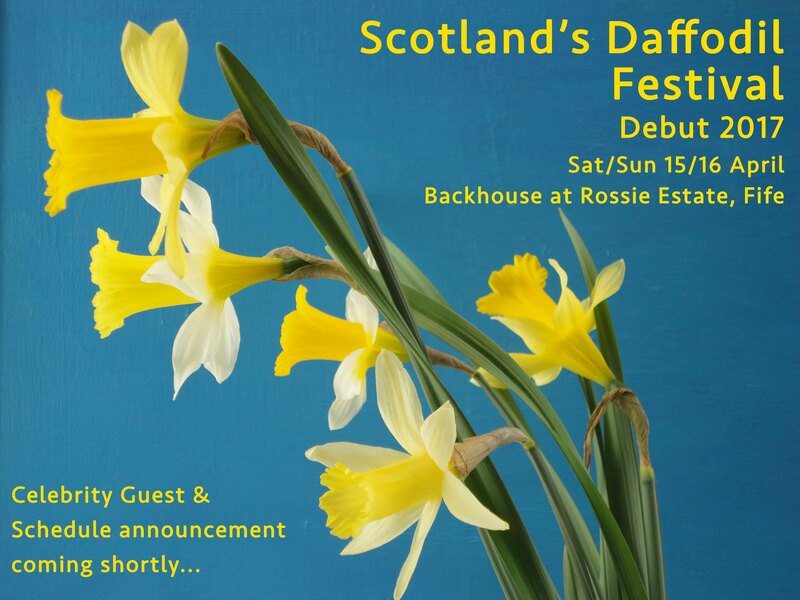 RHS members (£4) for Daffodil Festival. Full price for SGS Charity afternoon.